Ever want to try out one of Young Living’s oil blends for FREE? I’m doing a GIVEAWAY!!! There’s a place to enter the giveaway and you can earn up to 5 entries a day! I will announce the winner on September 11, 2015. I’m gonna be completely real with you…on my journey of truly making a lifestyle change to eating healthy I have discovered that I eat my feelings. I think deep down I already knew that, but the realization came earlier this year. Eating my feelings generally isn’t a conscious thing, it’s just how I was raised and what I continued to live. Feeling sad, mad, angry, hurt…eat some pizza, a cheeseburger, a Chick-fil-A spicy chicken sandwich, some ice cream…that will make it all better! Then I’d finish that food and the feelings of shame and guilt would come over me. I have been using clinical strength deodorant deodorant since I was a teenager. I knew that there was talk of the harmful side effects of using an aluminum based deodorant out there, even that it could cause cancer with long term use, but I felt I had no alternative. I tried natural deodorants and ones containing no aluminum, but they just couldn’t cut it. Even before I began using essential oils I had been searching for an alternative because I felt that even if it wasn’t a sure thing that the regular use of aluminum caused cancer, why not do all that I possible can to prevent it in myself? Plus there are chemicals all around us, why not figure out a way to rid myself of being exposed to that one on a daily basis? 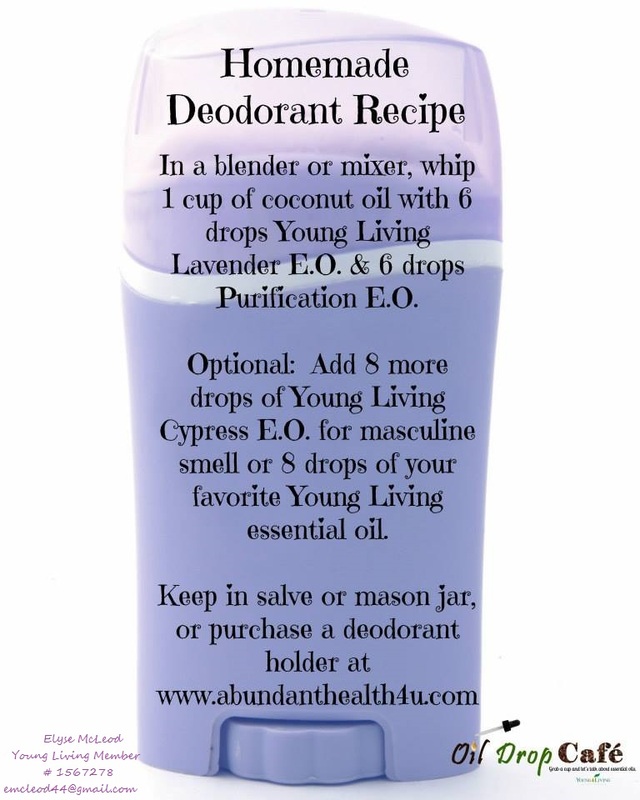 So when I found out that others had ditched their deodorants for some coconut oil mixed with Young Living Essential Oils I thought, why not give it a try? What have I got to lose? So early this spring I decided to try making my own deodorant. 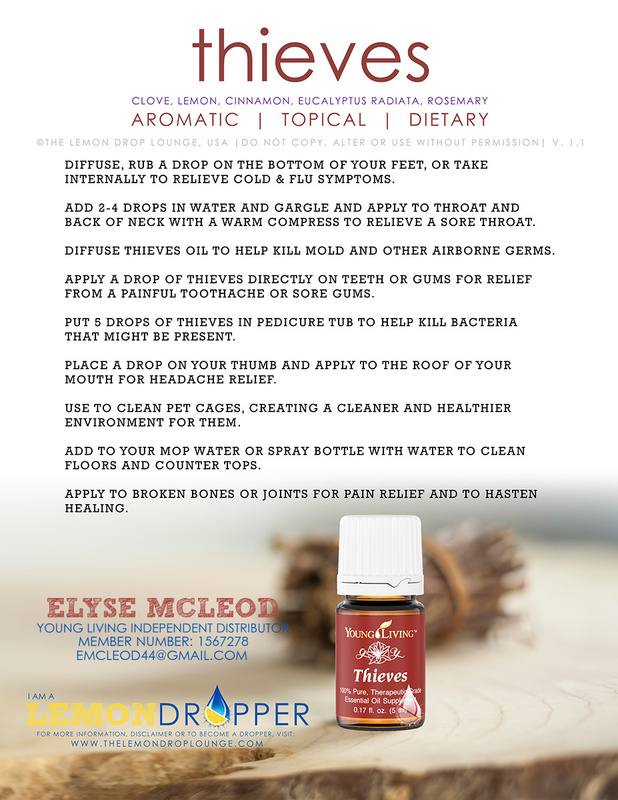 I whipped up the above recipe with my Young Living Essential oils to create a mixture that smelled amazing…now I had to see if it actually worked. I had been told by others who had made the switch to give it a full week before deciding if it was working or not. The first few days I got a little worried because it really wasn’t working at all and I was feeling a little stinky! But I stayed strong to my one week commitment and around day 6 and 7 I noticed a change. I kept using it and found that it began to work even better than the stuff that had all the chemicals in it. 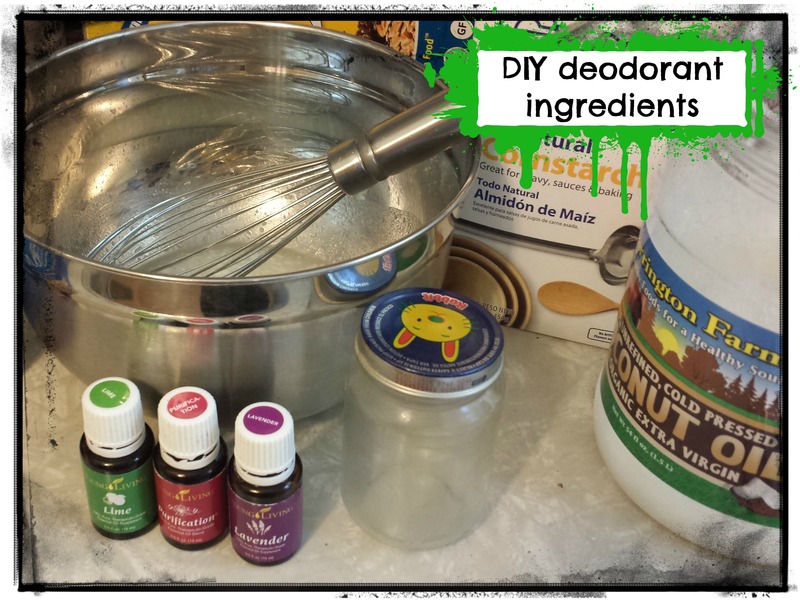 I haven’t had to go back to that yucky clinical strength deodorant from the store, I just make my own. My recipe has changed a little every time I make it. The most recent blend I put together is 1/4 c. coconut oil, 1/4 c. sweet almond oil, 6 drops purification oil, 6 drops lavender oil, 6 drops lime oil, 1 tsp. cornstarch, and 1 tsp aluminum free baking soda. You can whip it up in your mixer, but since I was doing a small batch this last time I just used a stainless steel bowl and whisk. My 7 year old helped me make this batch, and she loved putting all the drops in and whipping it up for me. In our home we have made switches like this one above by changing out one item at a time. We also make our own hand soap with essential oils and do most of our cleaning with essential oils now too! (that will be another blog post) What have you done in your home to get rid of chemicals and toxins? Do you make some things yourself? I would love to hear what others are doing! The recipe using the sweet almond oil was NOT a good fit for my body and I think the almond oil was the reason why. I went back to my original recipe with some added baking soda this time, and I’m liking it. Don’t give up if one mix doesn’t work for you. You have to find what works with your body chemistry. As my family and I continue to travel this journey of using essential oils for a multitude of ailments instead of medicines from our cabinet or pharmacy, I have realized that I haven’t had a need to reach for Neosporin Ointment since purchasing my oils almost a year ago! Instead of dabbing a little Neosporin and a band-aid on a scraped knee or bloody cut, we just place a drop or two of lavender essential oil on it! How exciting to see the healing properties of an essential oil take place right before your eyes. This is a picture of my youngest son. He is 15 months old and loves to climb anywhere he can and do everything his big brother does. On Sunday evening (8/17) he literally took a nose dive off the couch onto the carpet. When we put him to bed that night, about 15 minutes after the fall, his nose was just red. When he woke up in the morning his nose had scabbed over! I took the top left picture on Monday morning after I saw that it was a scab. We put lavender on it multiple times that day and the next. In the late afternoon on Tuesday (the 19th) I gave him a bath and his scab (that was looking yucky and infected) came off in the tub. I took a picture of him right after his bath. We put on more lavender and kept going! By the 21st a much healthier scab had formed. He had that scab for a few days. On the 24th his scab came off when he was playing with daddy. Little did we know that the lavender was helping him grow new skin underneath! It was so neat to see it! Then today on the 26th it is barely noticeable. He has fresh pretty pink skin and no scar! Lavender is amazing and I don’t think we will ever go back to Neosporin. My first Lavender Post also showed the healing power of lavender on my little guy’s face, but this time around was just much more amazing to me. Lavender’s Handy Little Medicinal Properties~ Lavender is an antiseptic, anti-fungal, analgesic, anti-tumoral, anti-convulsant, vasodilating, relaxant, anti-inflammatory, reduces blood fat/cholesterol, combats excess sebum on skin. Application of Young Living Lavender~ Topical: apply 2-4 drops on location or VitaFlex points. Aromatic: Inhale directly or diffuse up to 1 hour 3 times daily. 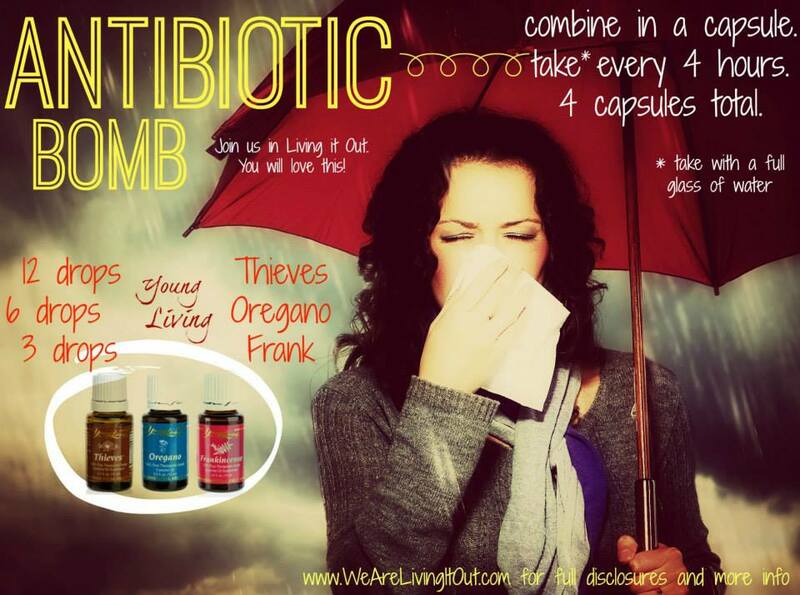 Dietary: Put 2 drops in a capsule up to 3 times daily. 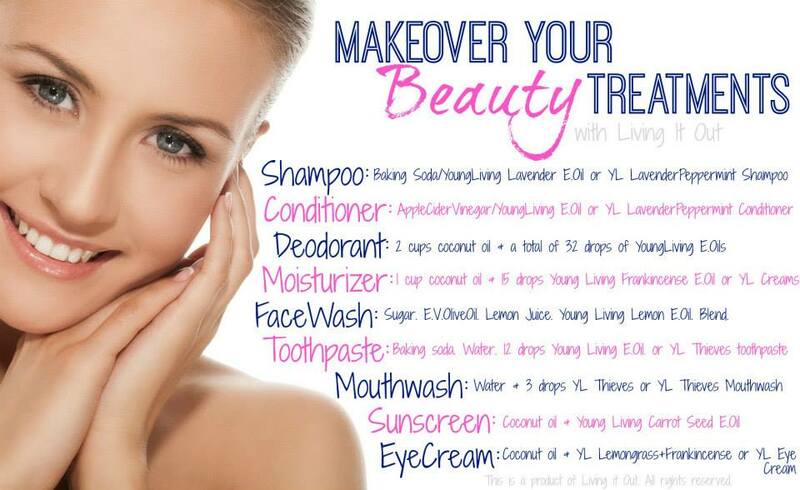 How you can use Young Living Lavender~ *Apply to cuts, scrapes, burns/sunburns, cold sores, insect bites, rashes, acne, ingrown toenails or bruises to speed healing. *Use in a capsule, teaspoon of honey, or swipe directly on the inside of mouth on the cheek for allergy relief. *Diffuse, use in an epsom salt bath, or apply topically to promote relaxation and/or sleep. *Swipe on the bridge of the nose and around nostrils for sinus drainage. *Massage into abdomen to relieve menstrual problems and PMS. Have you used Lavender before to promote healing for your body? I’d love to hear more experiences of how you have used Lavender in your life! What other moments has Lavender come to your rescue? It is nick-named the “swiss-army knife of essential oils” because it has so many fabulous uses. Want to learn more about Essential Oils and how they can help you? Visit my Oils 101 section. Would you like to get some oils for yourself or someone you love? Go to How to Get Oils section on the blog. Shortly after getting pregnant with our third child in 2012, something shifted in my body and all of a sudden I had oily hair. I have never dealt with oily hair in my life, if anything it was sometimes dry, but never oily. I switched shampoo at first, but that really didn’t do anything. I tried a more expensive shampoo from one of the beauty supply stores, and that helped some, but not for very long. I mean I could shower, wash my hair, blow dry it, and it would be oily all over again. I would let it dry naturally, and again…OILY! I finally turned to Google shortly after having our son summer 2013 because I was getting really frustrated and thought I could search out a solution. After some research and lots of reading of other people’s blogs, I decided to give the baking soda and apple cider vinegar trick a try. It was interesting…some days! I would scrub my scalp with baking soda, rinse with water, soak the ends of my hair in Apple cider vinegar, then cover all my hair in apple cider vinegar and let it sit for a minute or two. (Yes this was VERY stinky) Then I would rinse it all out. Some days my results were amazing! My hair would be so soft and look so nice, clean, and shiny. But most often the baking soda would dry my hair out and leave it brittle from not getting it all rinsed out. Some days it would look oily and dirty like before. It was VERY frustrating! I decided maybe I better give this lavender mint shampoo a try because I’ve tried everything else! 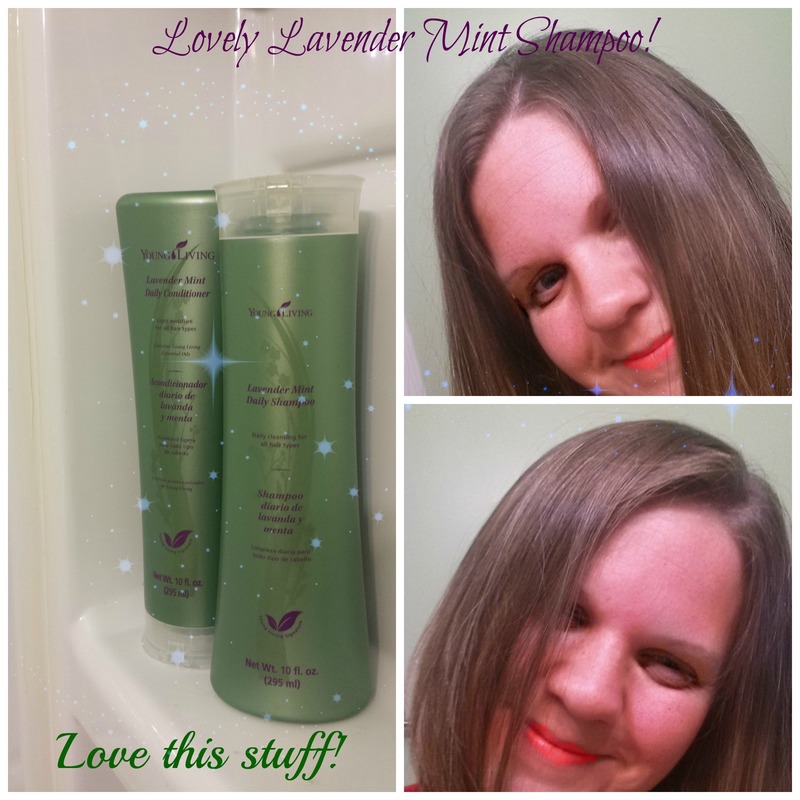 I have been using the Young Living Lavender Mint Shampoo and Conditioner for 3 months, and I am VERY happy with the results. My hair is so much healthier and no more oily head! Plus I don’t have any split ends. I used to have lots and lots of split ends from all the blow drying and flat iron use, but now NONE! I can’t remember when my hair has ever been so healthy. The shampoo and conditioner contain lavender, peppermint, and spearmint essential oils. It can be used for all hair types and helps repair damaged hair. It comfortably stimulates the scalp and is very refreshing. How have you battled oily hair? What natural ways do you use to help repair your hair if it becomes damaged? 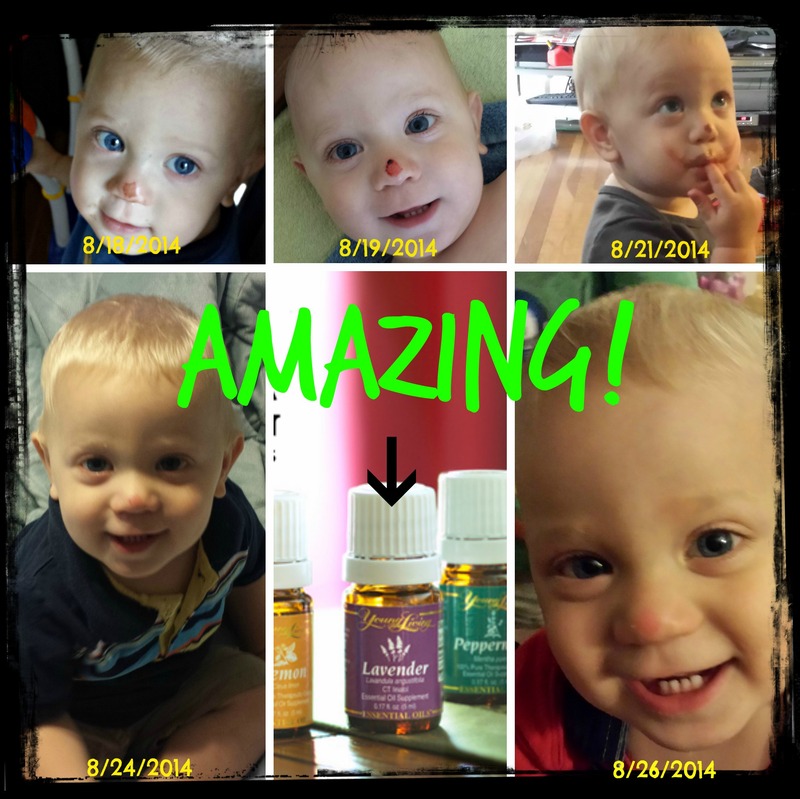 Would you like to learn more about Essential Oils? Would you like to get some of this shampoo and conditioner? Just shoot me a message, I’m glad to help. Or click Oils 101. I gave him some Motrin. 2 hours later his fever never broke, I took it again and he was 104.8! I got scared and decided I’d better take him to urgent care because even the meds weren’t bringing down his fever. I put more thieves and peppermint on and also added frankincense to his neck and down his back. His dad also said a special prayer for him before we left. We took the 5 minute ride to urgent care, and when they took his temp it was 102.8…I thought, hmmm he’s already coming down, that’s amazing to go down 2 degrees in about 15 minutes. He had no other symptoms besides this fever, so even at urgent care the doctor didn’t have a whole lot of answers for me. They thought strep, but his rapid strep came back negative. We came home and I oiled him up once again and put a diffuser with thieves right next to his bed. He didn’t wake all night (which is abnormal when this kid is sick) and when he got up in the morning he was fever free! He played all day like he was never sick! I was SHOCKED when the doctor called that afternoon to tell me his strep test culture was positive and that he’d need antibiotics! NO HE DOESN’T! I truly believe my son was healed. Whether it was the oils or lifting him up in prayer, (maybe it was both) it doesn’t matter. The Lord is amazing and my son didn’t have to suffer through this illness so I give Him all the glory. Then the next day my throat started to hurt and I began to feel run down. I started to diffuse thieves all over my house because my youngest (14 months) seemed a little off as well, and I didn’t want any of us to share this illness that my 4 yr old had just overcame. I put thieves on all 3 of my children’s feet, and decided I better take the “antibiotic bomb” just to make sure I didn’t get sick either. I took one in the afternoon and then another right before bed. None of us ever got sick and we were all able to avoid having strep throat and missing out on fun with our friends this week! I’m amazed over and over again at the healing properties of these oils and how they have changed how we treat illnesses in our home. Oregano-Is a powerful antiviral, antibacterial, anti-fungal, anti-parasitic, anti-inflammatory oil. It is also an immune stimulant. Thieves-Is a blend on Clove, Lemon, Cinnamon bark, Eucalyptus, and Rosemary. It was created from research based on legends about a group of 15th century thieves who rubbed oils on themselves to avoid contracting the plague while they robbed the bodies of the dead and dying. When apprehended, the thieves were forced to tell what their secret was and disclosed the formula of the herbs, spices, and oils they used to protect themselves in exchange for more lenient punishment. 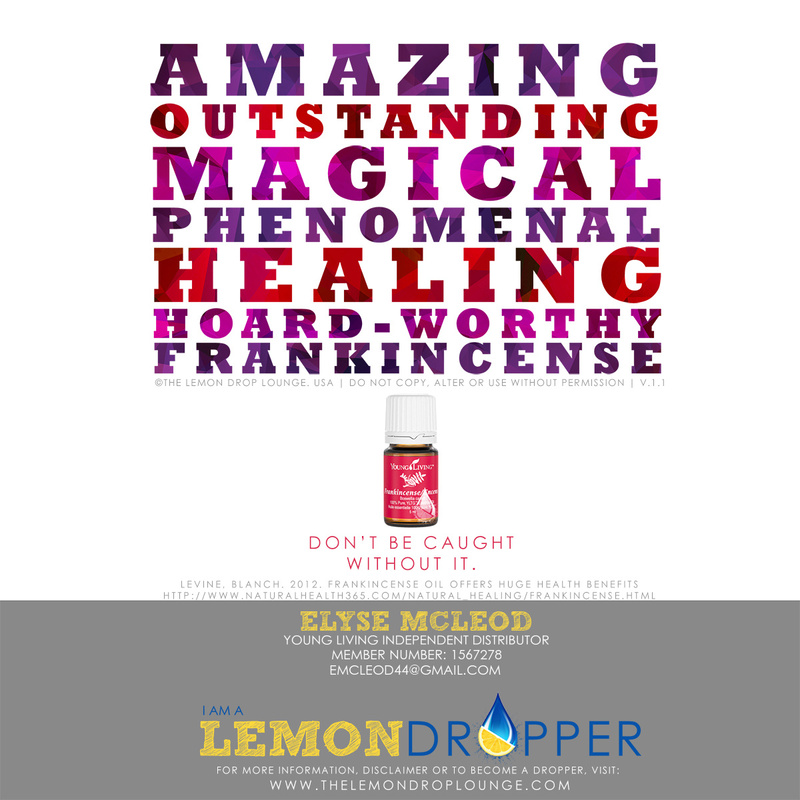 Studies conducted at Weber State University (Ogden, UT) during 1997 demonstrated the killing power of these amazing oils against airborne microorganisms. One analysis showed a 90% reduction in the number of gram positive Micrococcus luteus organisms after diffusing for 12 minutes. After 20 minutes of diffusing the kill-rate jumped to 99.3%. Another study against the gram negative Pseudomonas aeruginosa showed a kill rate of 99.96% after just 12 minutes of diffusion. Frankincense- Is an immuno-stimulant. It was well known during the time of Christ for its anointing and healing powers and was one of the gifts given to Christ at His birth. It was valued more than gold in ancient times, and only those with great wealth possessed it used to treat every conceivable ill known to man. If you would like to learn more about these oils, please click the Oils 101 tab on the top of my blog page. Feel free to email or message me any questions you have. Need a Bottle of Energy? Have you ever seen small children running around and playing endlessly while having such a great time? You look at them and think, if I could just bottle up a little of that energy I could do so much more in a day! Now I’m not big on sports drinks, energy shots, or caffeine concoctions, but I will try a more natural approach to getting more energy so that I can be more productive in a day. I have always felt like I never have enough time or enough energy to get everything done that I need to in a day, so I decided to give the blend Young Living makes called En-R-Gee a try. I wasn’t sure if it would help me at all, but I figured it couldn’t hurt me either. So I applied a drop to each wrist, rubbed them together and then rubbed them on my neck. Then I inhaled for a minute or so from what I applied so that I could breathe in the aroma of the oil. It was a little invigorating right off the bat, but I thought maybe that was all in my head. I was headed to the gym even though I didn’t want to go, so I was trying to give myself a boost. Directing VBS this last week with very little sleep, then visiting with a close friend who lives out of town until 1 am has left me a little exhausted. But, I’m bound and determined to continue making more positive and healthy changes in my life, so I had to go. I began walking on the treadmill, and was feeling pretty good. All of a sudden I thought, you know, I’ve been doing really well with a faster paced walk, maybe I should start the Couch 2 5k app! This seemed a little crazy to me at first because I was so tired, but something lit a fire in me, and I powered through it! I was amazed! I have used this blend before with mixed results, but tonight those 2 little drops of En-R-Gee pulled me through! En-R-Gee’s whole purpose is to increase vitality, circulation, and alertness. It contains Rosemary, Juniper, Lemongrass, Nutmeg, Idaho Balsam fir, Clove, and Black Pepper. Each of these oils have little jobs to help bring you the energy you need. Rosemary helps you overcome mental fatigue, Juniper detoxifies, cleanses, and improves nerve and kidney function, Lemongrass increases blood circulation, Nutmeg supports the adrenal glands for increased energy, Idaho Balsam fir is stimulating and calming at the same time and empowers and motivates one to go forward and achieve goals, Clove is a powerful stimulant with antioxidant properties, Black Pepper stimulates the endocrine system and increases energy in all systems of the body. If you’d like to continue to learn more about Essential Oils, visit the Oils 101 tab at the top of the blog. You can also contact me via email or in the comments section with any questions you might have. I’m a real skeptic of the “mood oils”. They have great names like Joy, En-R-Gee, Stress-away, Believe, Grounding and Motivation…just to name a few! I didn’t really understand how they could work to help, change or improve my mood. Joy was an oil that I received when I purchased my premium starter kit and signed up for my wholesale discount. I REALLY didn’t like how it smelled when I opened the bottle, so I put it away in my little oil bag, and there it sat for months. The aroma was powerful, and I didn’t like it, so I never used it and really didn’t think it could help me in any way. Well, a friend shared a story about how her cranky 18 month old was having a hard time riding in the car after they’d been driving for quite a few hours. They were on a road trip, so there really wasn’t any other choice but for her to be grumpy. My friend decided to try putting Joy on the bottoms of her daughter’s feet to see if it would help her. She said it was amazing, completely changed her mood, and they made it another hour and a half down the road before they had to stop for bathroom breaks for the other kids. A week or so later my youngest (11 months at the time) was very cranky when we were at a restaurant with friends. I decided to try out this Joy oil and see if it could work for him. I put one drop on his feet and rubbed it in. IT WAS AMAZING! His mood changed shortly after that, he made it until it was time for lunch, ate his food, and then played with the other kids for a bit before time to leave. I was hooked! I started using Joy oil on myself when I felt grouchy or when I was being short with my children. I noticed it really helped and would turn my grouchy day around and help my temper with my children because it uplifted my mood. It helps many people with depression and anxiety, and just helps to raise your frequency to a higher level. Also, I started diffusing it! Which let me tell you, makes it smell TONS better than straight out of the bottle. This beautiful blend produces a magnetic energy that brings joy to the heart, mind, and soul. It inspires romance and helps overcome deep-seated grief and depression. The ingredients in this blend of oil are: Rose, Bergamot, Mandarin, Ylang ylang, Lemon, Geranium, Jasmine, Palmarosa, Roman Chamomile, and Rosewood. 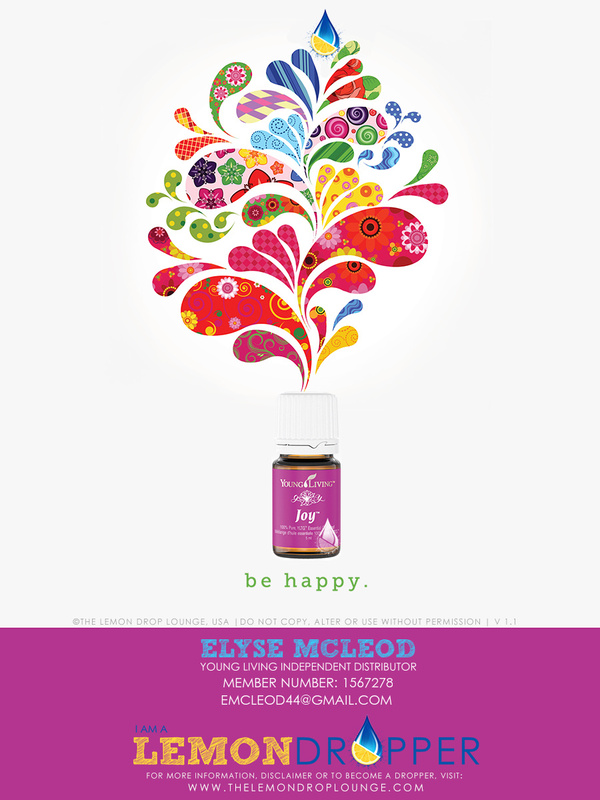 Each oil has a specific job to help bring joy to your heart and mind. Rose has the highest frequency among essential oils. It creates a sense of balance, harmony, and well-being and elevates the mind. Bergamot balances hormones, calms emotions, and relieves anxiety, stress, and tension. Mandarin is appeasing, gentle, and promotes happiness. 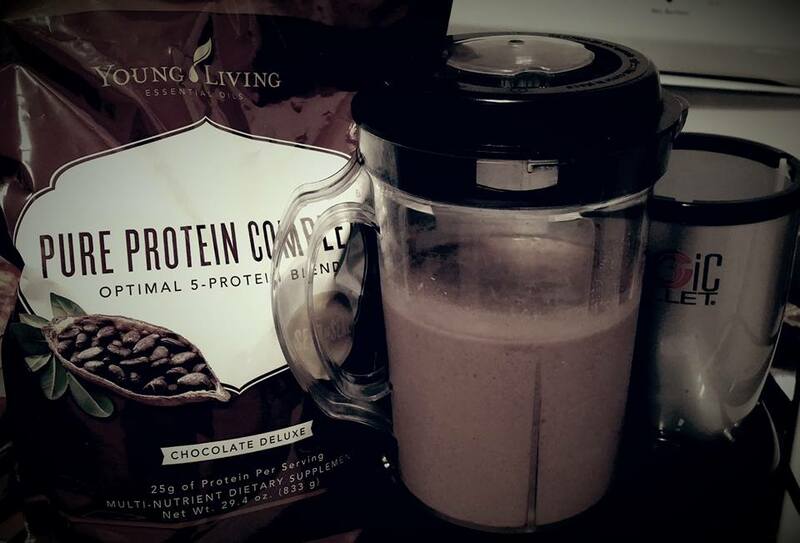 It combats insomnia, stress, and irritability. Ylang ylang increases relaxation; balances male and female energies and restores confidence and equilibrium. Lemon is invigoration and can boost immunity and reduce depression. Geranium stimulates the nerves nd helps release negative memories so that joy can be attained. Jasmine exudes an exquisite fragrance that revitalizes spirits and brings feelings of love, support, and joy. It is used to relieve sorrow, depression, and nervous exhaustion. Palmarosa enhances both the nervous and cardiovascular systems and brings about a feeling of security. Roman Chamomile combats restlessness, tension, and insomnia. It releases mental blocks and purges toxins from the liver where anger is stored. Rosewood is high in linalool, which has a relaxing, empowering effect and gives a feeling of being grounded, stable, and strong. Joy oil definitely isn’t a fix all, and I have to admit, it doesn’t have these amazing results every single time. But it does help! If you want to learn even more about Essential Oils, please click on the Oils 101 tab and listen to the class. If you’d like to begin your oil journey, please feel free to contact me, and we will get you started! “Ninja Juice” kicks it into high gear! 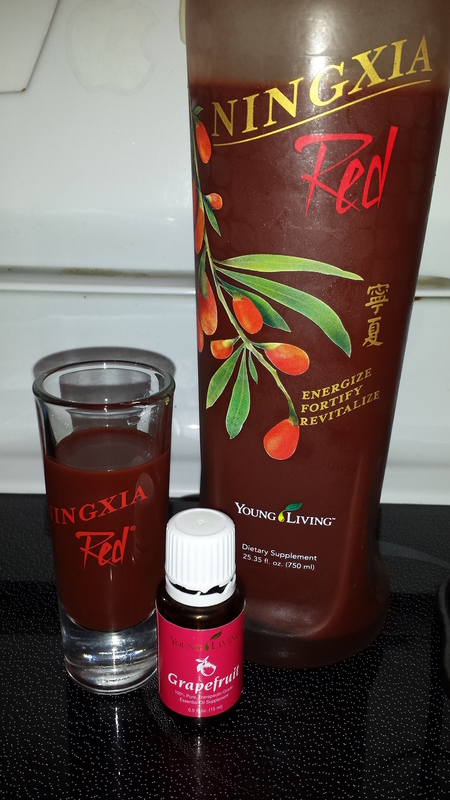 This stuff right here…this NingXia Red stuff…I just have to say IT IS AMAZING! My kids call it “ninja juice” and I think that name is quite fitting. I began two weeks ago with a NingXia Red 30 day challenge, and I have begun to notice that my energy level has rocketed to a whole new level. It didn’t happen overnight for me, and it wasn’t some miracle change, but I used to want to always fall asleep around 2pm everyday. Now I am able to get so much more done in the afternoon because I don’t hit that slump. One of the biggest changes in my body I noticed was that my hand no longer hurts. I injured my hand by falling on some ice back in February, and I’ve been dealing with annoying pain from it ever since! It wasn’t excruciating, just bad enough to not open jars by myself, have a terrible grip and drop things often, and just generally be bothered by it. Now I am experiencing very little pain, and have been able to open jars with no problem! It amazed me! 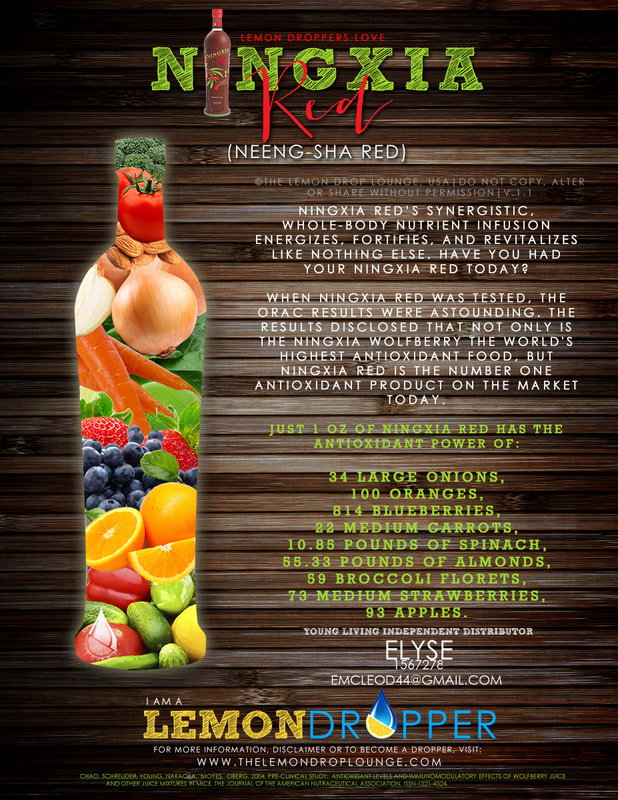 If you would like more info on NingXia Red and how to get some, just shoot me a message, I’d love to help you! Give it a try, what have you got to lose? 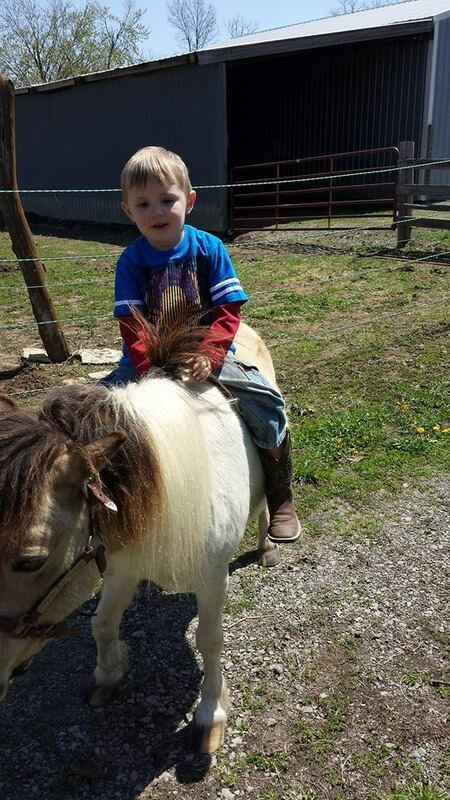 So he gets on the pony and immediately starts sneezing profusely. So much that he ends up startling the pony and gets thrown off. 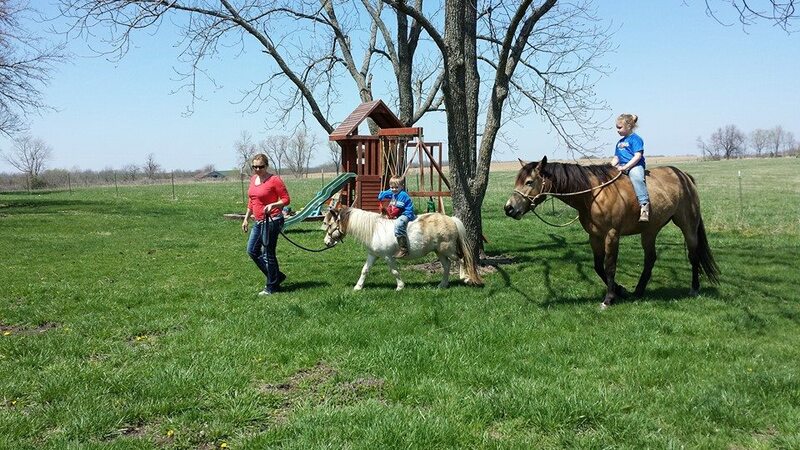 (no worries, it’s a short pony and Owen actually landed on his feet!) He then walks back over to the sandbox and continues to sneeze over and over. Then I notice that his breathing is getting faster and his face is changing color. I begin to panic a little realizing that I had no Benadryl with me and no inhaler (not a proud mommy moment). In my moment of panic I grab my Young Living Lavender Essential Oil. I rub drops of oil all over his neck and cheeks. Within minutes his breathing and face start to go back to normal and his sneezing stops. About 5 minutes later, he is back to normal and ready to get back on the pony! He was able to ride with no more issues! Weight Loss Challenge Day 8 – Weigh in Day!